Unique, Dunhill has been a lighter name synonymous with innovation, quality and reliability. one-hand operation and first-time lighting, both certainly unique at the time. All models in the 20s had single wheel action. Highlight of the early years was another Dunhill break-trough: a double wheel to reduce the effort needed to make a spark. 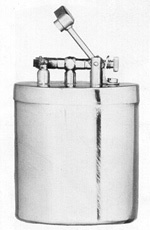 In mid 30s came the Tallboy, the first lighter to have the mechanism concealed. Improved flint action meant less adjustment towards the end of the flint life. A component that has remained virtually unchanged to this day was introduced in the late 30s ­ a new flint action which made screwing up unnecessary. This significant advance was introduced on the Handy and Squareboy. lighter manufacture continued. The austere aftermath of war years prevented any real development in lighter design until 1950. 1950 really marked the end of austerity and marking-time, the beginning of the post-war development period. The harsh wheel was replaced by the long roller for effortless operation. 50s and all incorporated the new, easy-on-the-thumb roller. The mid-fifties were noted for research into a quite new, revolutionary power source... butane gas. the Rollagas and Aldunil, were launched. A new era in lighter design had begun. more compact version of the Aldunil introduced. 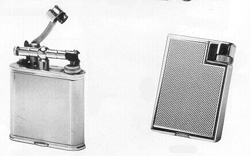 The first butane table lighter (Tallboy) was marketed in 1965. Extensive development of the Rollagas has taken place and a generous choice of engine turnings and lacquered finishes made available. New models for the 70s include the D70, Dress and the Ultimate"S" lighter, the Wheatsheaf table model and Rulerlite and Longboy desk models. 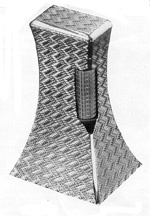 Dunhill introduced the modern "Unique" lighter. 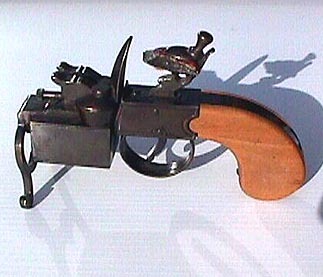 A reproduction of the first "Unique" lighter that was introduced by Dunhill over 60 years ago. 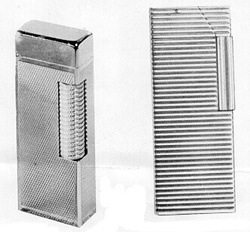 The modern "Unique" lighter has a butane gas and flint operated mechanism, and like all Dunhill lighters is precision engineered to the highest standards.